All this week I have been busy making lists and trying to get organised for the 'Antiques for Everyone' show which is held at the Nec in Birmingham 16th - 19th April. 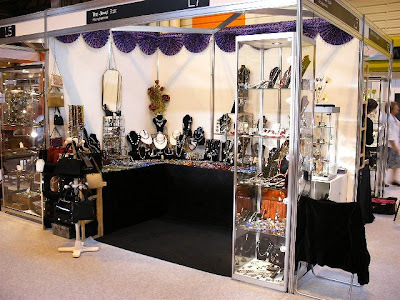 I stand the show three times a year with my lovely friend Jenny and we really look forward to seeing all our regular customers, meeting new ones and most especially showcasing all the wonderful vintage jewellery and accessory treasures we have searched high and low for. We travel all over the UK and sometimes overseas to buy stock and each year it gets more difficult to find lovely things in really good condition at the right price. 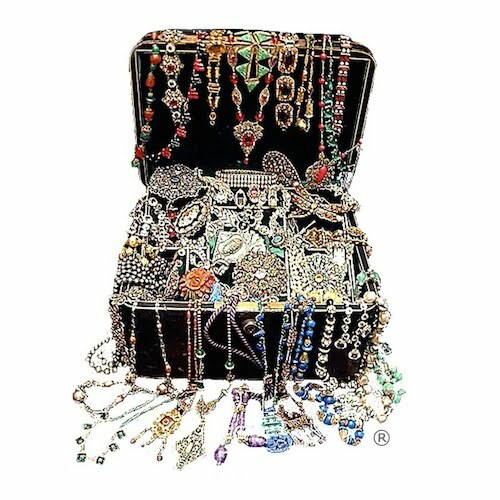 With all the cheap imports and reproductions flooding the market it is hard to find people selling good genuine vintage jewellery as it is obviously much easier to make a living buying and selling stock that you can order over the phone! It has been a long gap since the last Antiques for Everyone in October 08 and we have both been squirreling away all our new finds in a special drawer. Every two or three pieces you buy eventually add up so, we have lots of exciting, fresh stock that is on sale for the first time at this April show. Accessories are just as hard to find as jewellery and I think it is because unlike today, from the 1920's until the 1970's when we we became more of a consumer society, women had maybe two, or at the most, three handbags, one for everyday use, one for best and perhaps a special one that matched a particular outfit or was an evening purse. 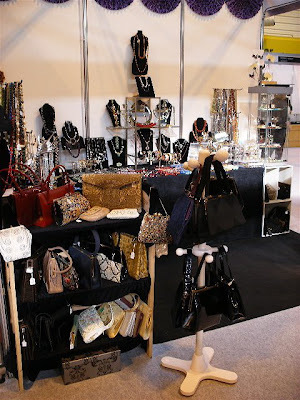 I have been lucky to get a few wonderful 'Corde' handbags in hardly used condition so I am looking forward to seeing them displayed together on the stand. The floorplan of the show is slightly different this year but we are in more or less the same place in the hall as before, section 2 stand W18. P.S. Thanks to everyone who looked at or bought from the accessories sale on the website. Please note : Any orders received from the website during the week of the show will be posted week commencing 20th April.